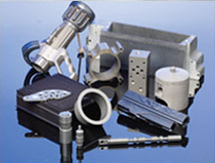 Highest Yield: Significantly reduces component handling with the lowest error rates. Fastest Turnaround: Ready for just-in-time delivery schedules. Your specifications are pre-programmed, saved and double-checked for accuracy before production begins. Highest Consistency: FWA can recall your order to meet your exact specifications, next week or next year! Most Flexibility to Meet Your Needs: Totally independent lines, each with their own rectifier and temperature control system. We can run multiple processes simultaneously. Meeting your specifications and delivery schedules every time. Highest Precision: FWA specializes in restrictive anodizing. Parts can be masked by applying “wet” masking mater ial, plastic or rubber plugs and tape. 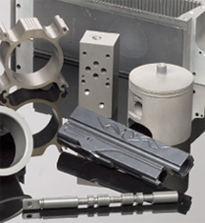 This process allows you to specify exactly what area of your part is to be anodized. Most Reliable: State of the art systems, operated by a quality team, result in high quality production; efficient and cost effective.